What happens to all those socks that go missing? Monsters eat them of course! 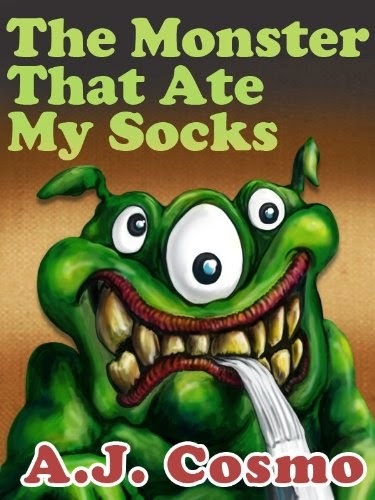 Something has been eating my socks and I'm going to find out exactly what it is. My mom does't believe me, but my best friend does, and together we will capture that monster and prove that I've been right all along. Or so I thought. I loved this book. The illustrations were bright, colorful and full of fun. The story itself is a lot of fun for all ages and written at such a level that is perfect for the early readers in your life. Since my boys are older now, I'm planning on passing this one down to their half-brother that is due to their dad and stepmom in May. After all, you can never stop collecting good books for a kiddo too soon! I just know that this will be one that my own boys will enjoy reading to and with their younger brother when the time comes.